Cars are something of an obsession in Barbados and motor sport is the most popular spectator sport, and a big draw for participants. 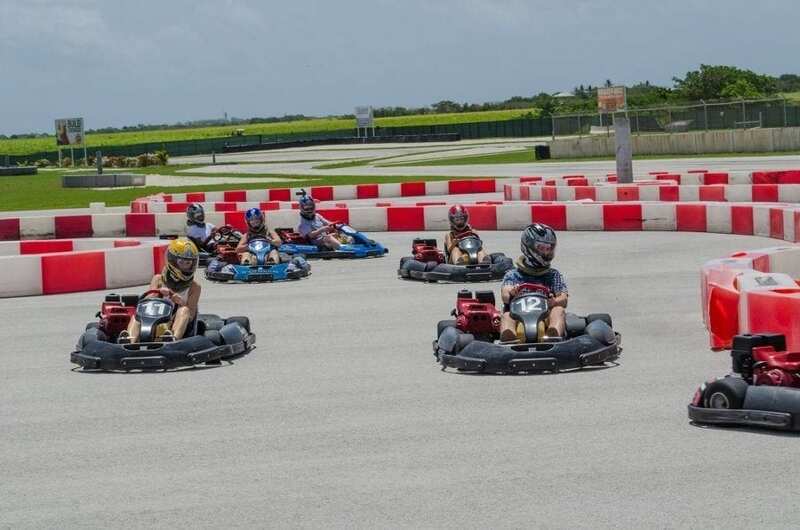 In 2008, 400 competitors tackled everything from kart racing through four-wheel-drive navigational events and MudFests to the two big fixtures, Sol Rally Barbados (May) and the circuit racing Williams Industries International (August). Competition machines of every size, colour and sound compete in a calendar that stretches from February to November. Everything from five-year-old ex-factory World Rally Cars to ‘back-yard specials’ built with all the care and ingenuity of their international counterparts, while the ‘Mud Dogs‘ are something else! Built in the 1970s for circuit racing, Bushy Park in St Philip hosts at least six car race meetings a year – the highlight is the Caribbean Motor Racing Championship in August – and another 10 for karts, the ‘nursery school’ of motor sport. The Vaucluse Raceway in St Thomas, a mixed tarmac and loose-surface track designed to host RallySprints, is currently non-operational. Events are also held on public roads, closed in agreement with Government and used for single-venue speed events or, as for Sol Rally Barbados, combined to create an island-wide special stage two-day rally. The island’s network of roads offers an amazing cocktail of turns, jumps and dips, which are lined with hundreds of fans going to all lengths to get the best view of their chosen star. Marshals monitor safety and ensure that emergency vehicles (and buses) can pass through in gaps during the competition. Sol Rally Barbados has grown from a one-day rally for around 30 locals in 1990 into the region’s biggest annual motor sport event, with 90 starters including more than one-third from around the region and further afield. National Champions from the UK and mainland Europe come to take on the best Barbados and the region can offer……and the atmosphere is electric! Behind the wheel, local and visitor alike are all business, but once the on-stage competition is over, the race to the bar is just as competitive. Overseas teams return year on year to revive rivalries……and friendships. It would be a shame to miss out, wouldn’t it?